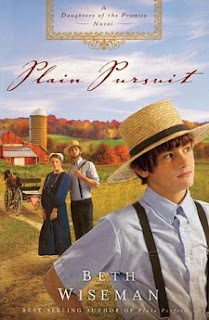 Carley Marek experiences culture shock when she visits her friend Lillian’s family on their farm deep in Amish country. She’ll get an article out of the visit–and maybe some of Lillian’s newfound peace will somehow rub off on her. As David’s condition deteriorates, Dr. Noah determines to do whatever it takes to save the boy’s life. Carley is caught in the middle–drawn to Noah, wanting to be helpful in the crisis–and confused by all their talk about a God she neither knows nor trusts. Carley must decide what in life is worth pursuing . . . and what to do when she’s pursued by a love she never expected. When I got this book, I had no idea it was a part of a series. It was given to me through the Book Sneeze program. I am also the first one to say that Christian Fiction is not generally the first genre I will pick up to read, however to me a good book is a good book no matter what the genre. Plain Pursuit is a heart-warming story that truly brings you in. The characters are ones that you feel attached too, you cannot help but love them and wish the best for them. The detail is well written and you can almost see yourself walking down the road in Amish country. You can feel the love of this book and you clearly get the good Christian message. If you enjoy the genre or are looking to reconnect, I recommend this book, you may want to start at the beginning of the series but I felt right in place even starting here with the second one. This entry was posted on Sunday, March 7th, 2010 at 9:28 am	and is filed under Review. You can follow any responses to this entry through the RSS 2.0 feed. You can leave a response, or trackback from your own site.